(Newser) – Arizona's execution of Joseph Wood was "not botched," a state-commissioned review has concluded, even though it took almost two hours for him to die. 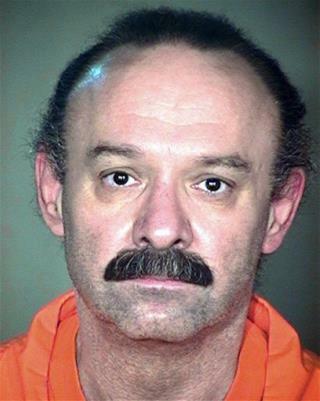 The director of Arizona's Department of Corrections says the lethal injection was "done appropriately and with the utmost professionalism," the Arizona Republic reports, although none of the experts quoted in the review could explain why it took 15 doses of a supposedly lethal cocktail to execute Woods, or why a procedure that usually takes 10 minutes lasted so long. The state now plans to change its lethal injection protocol and use the same three-drug combination that Oklahoma used in the botched execution of Clayton Lockett earlier this year, reports NBC. A bullet to the back of the head is instantaneous, painless, economical and if done in a shower stall its easy to clean up. Why complicate things ? I dont get the conservative's irrational need to kill convicts. A life sentence ensures they never get out to hurt citizens ever again, and often times convicts are found innocent as new evidence or witnesses come forward. You would think a group that is the most religious in america would leave the punishment and retribution to god. Plenty of that stuff in their book "Judge not..", "Let he who is without sin...","Do unto others...". Seems like in the spirit of Christmas we should be having more good will and peace on earth and less murdering defenseless old men. He died which was the intent, it does not matter if he suffered a bit like his victims did.